The style of FSP's CMT520 Plus is the exact same as the CMT520. The only difference are the ARGB fans in the CMT520 Plus compared to the RGB fans in the CMT520. The CMT520 Plus front panel is cut to be slightly indented at the top and the bottom. 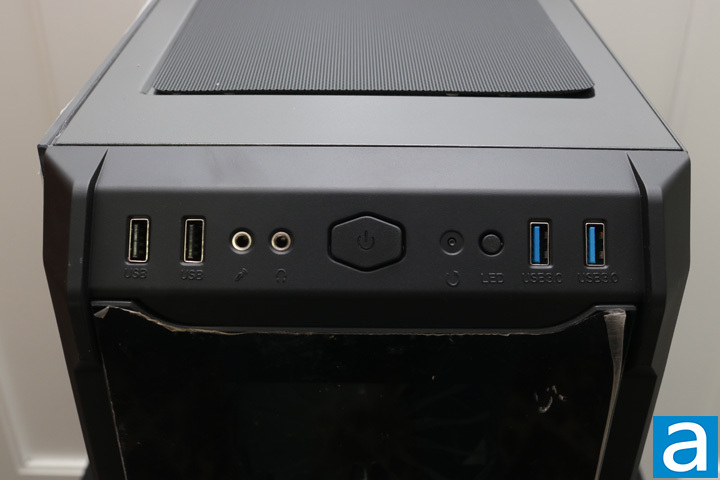 Furthermore, the front panel I/O is angled downward, making it easier to see from the front. To either side of the front panel are plastic running down each side, which is cut to allow air in. 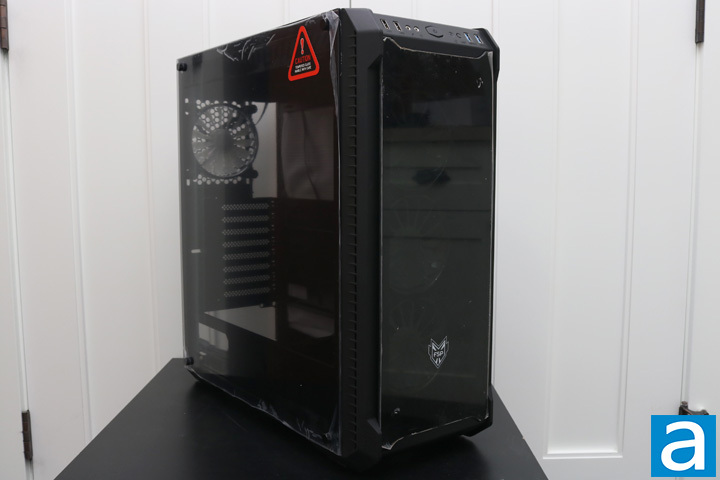 The CMT520 Plus has no dust filters at the front, which is a loss. A case this expensive should have dust filters at each intake. When it comes to dimensions, the CMT520 Plus comes in at 495 mm in depth, 215 mm in width, and 510 mm in height. This is a fairly standard size for an ATX case. The weight is quite heavy due in part to the tempered glass and it comes in at 8.5 kg. However, the case is just meant to sit in place, so it is not much of a disadvantage. It is an indication of build quality if you ask me. The front I/O is great. In total, there are four USB ports; two of which are 2.0, while the rest are 3.0. The classic 3.5 mm audio and microphone jacks are found on the front as well. Luckily, the smartphone trends of taking away the audio jack has not caught on. The power button is the large button in the middle and it lights up when the case is powered on. There is a dedicated RGB button and a dedicated reset button. The RGB functionality is still not prime because of a single button controlling it all, but it works with all the colors FSP claims. The ARGB can be integrated with ASUS or MSI motherboards to sync up the whole system. The back panels of the case look about the exact same as usual. The back easily opens with some thumbscrews and is not tempered glass. 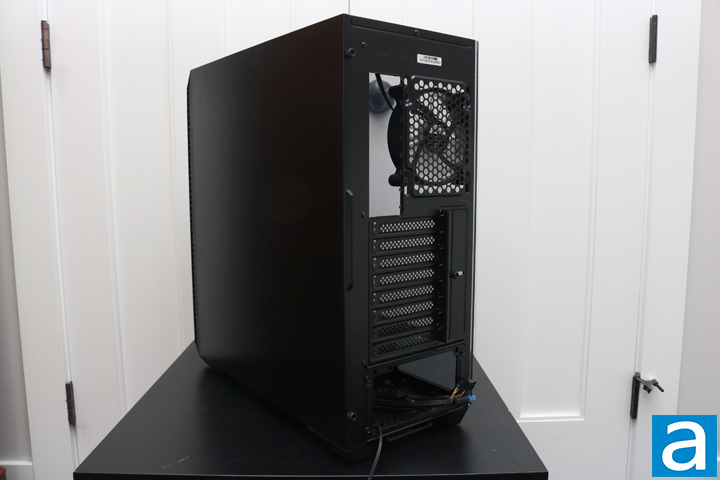 The back has eight expansion slots, one 120 mm exhaust fan, and a power supply area at the bottom. The expansion slots have a locking mechanism, which keeps all eight of the slots in place with one thumbscrew. Every expansion slot can be removed and replaced. Beyond that, the black color scheme is continued throughout the chassis. On the bottom, we find the power supply intake. The dust filter sits on a rail and has a plastic frame. It is built well, and it is nice not to see a cheap filter. The rail makes it easy to remove, clean, and place back into position. 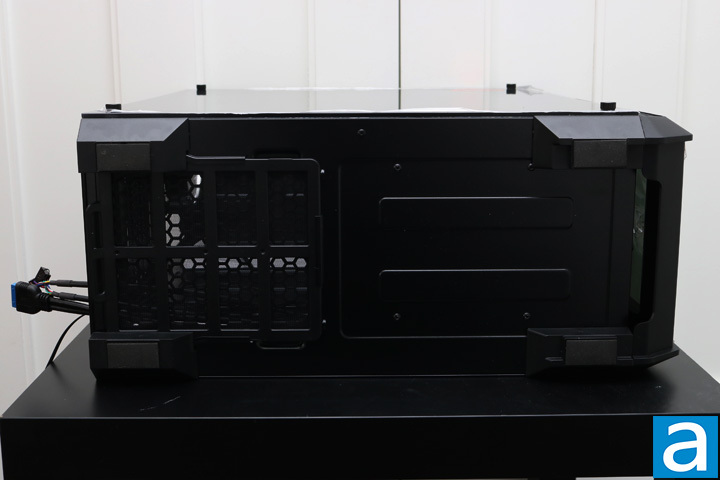 Otherwise, there are four large feet to keep the case lifted for air to be pulled into the power supply. The feet are about 2.5 cm off the ground, making it great for a hard surface, but not effective on carpet. On carpet, the power supply would be drawing in way too much dust, which would clog up the power supply way too fast.